Solid deal in our store today that we wanted to point out. 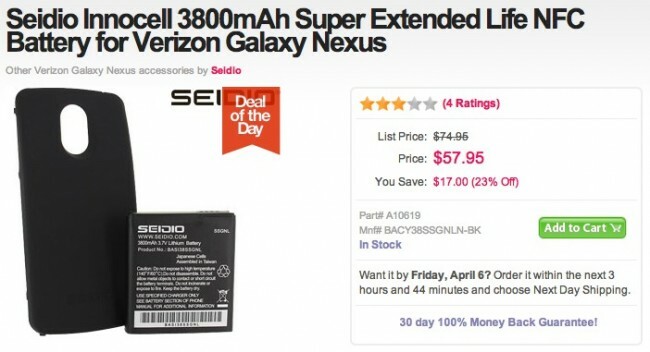 The Seidio 3800mAh extended battery with NFC is available for $57.95. If you bought this from Seidio’s store, it would run you almost $75. It’s a tank of a battery, but if you need a phone that can last longer than a day, this would help get you there. We did a quick hands-on with the battery last week to give readers an idea of the thickness and weight it adds – you can view that here.